Oh, Nars. You little beauty. With your velvet-touch packaging and extensive line-up of cult must-haves, you’re one of those brands I never seem to tire of. 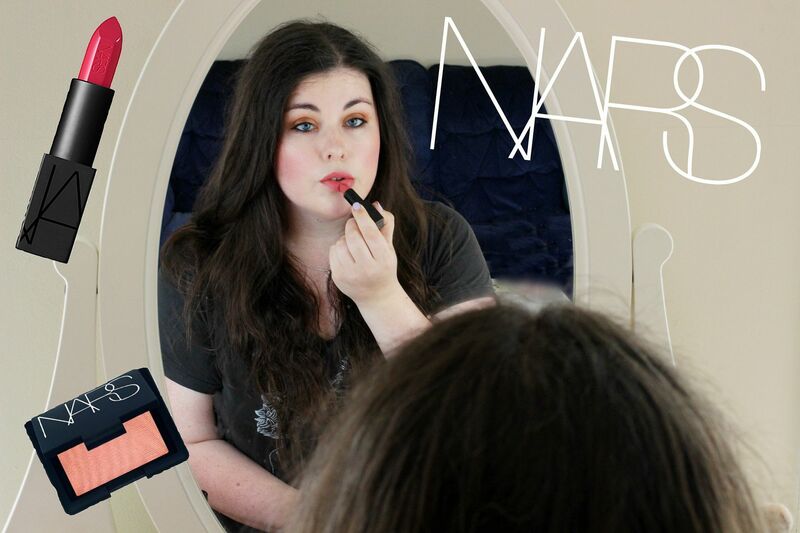 I thought it was about time to incorporate Nars into my One Blogger, One Brand series, and run through the hits and the misses from the line. 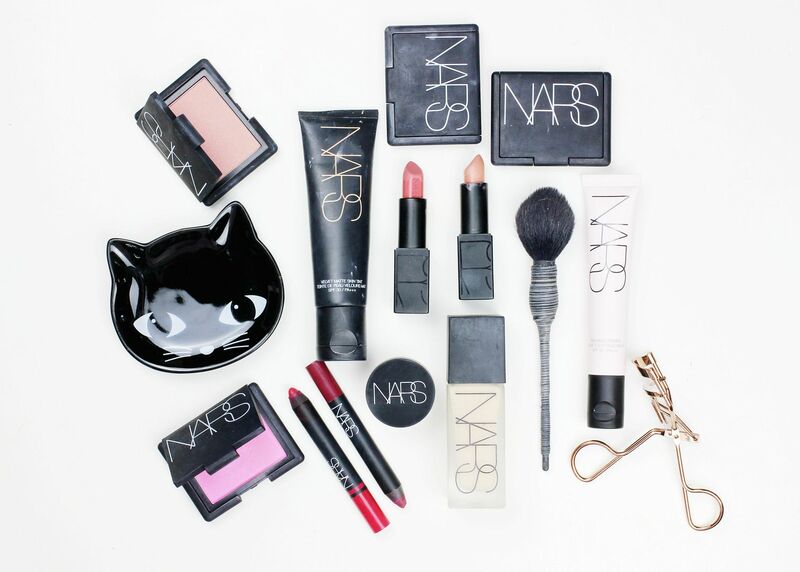 Let me know if you have any Nars favourites too! Such a fantastic creamy formula. I know I’m a lipstick fanatic, but these are beautifully traditional in that you feel like a proper lady applying a lipstick of this calibre. The formula is incredibly creamy to apply and it dries down to a nice satin finish without ever feeling uncomfortable. Particularly enamoured with Apoline (the perfect rose) and Brigitte. Everyone needs at least one. Another lipstick, but I also love these because they’re so incredibly easy to use and they come in a range of vibrant shades which all last on the lips for hours and hours. They’re just released a bunch of new shades that I need to try because I tend to keep one of the red shades in my handbag at all times in case I want a makeup touch up for a post-work event. One of the very best powder blush formulas around; an iconic staple in any blush fiend’s collection. The formula is blendable, pigmented (but not intense) and long-lasting, making them one of the easiest textures to use when adding pink or coral to the complexion. I love Gina, Luster and Gaiety the best but there are lots of shades and Nars tends to release new ones every season. They also do blush palettes a lot, but I always end up going back to the individual pans – they look a bit grubby after frequent use but they have that well-loved quality. Nars do such good shadows, that I think are a little underrated in the world of beauty. Their duos are particularly good because they’re formed of two complementary colours (although Lola Lola as a single shadow is one of my all time favourites too) so you can do an easy eye look. Isolde is basically perfect if you like a good bronze, and Kalahari is the perfect everyday taupe/neutral. I love the all. All Day Luminous Weightless is my go-to for full coverage, Sheer Glow is so good for faking perfect skin, the Velvet Matte Skin Tint is gorgeous for a low-key glow and Pure Radiant Tinted Moisturiser is another glowy one. They just really seem to understand what makes a foundation work and they have an extensive shade range (and Space NK is good with samples). There’s pretty much a base for everyone. I’m the shade Gobi in foundations and Alaska in tinted. I’ve tried both the radiant creamy concealer and the soft matte and they’re both good and definitely some of the best around – for both of them I just find the formulas a tiny bit drying so they’re not the best under the eyes but work wonders when used on the face. Having said that the soft matte does blend into the skin seamlessly when used with a damp beauty blender. These are great glosses – they go on smoothly and manage to leave lips with a stain after the shininess has faded away. They’re just a great staple to have in your makeup arsenal because they do everything they promise – they glide onto the lips and leave a velvety finish. As far as I know, the primers are a newer addition to the line up and them seem pretty comprehensive to me in terms of their claims and what they off to boost your complexion – there’s nothing bad here but I don’t think their primers will take the spotlight away from some of their other products. I do like the radiance one because it perks up the complexion a treat. Oh, Laguna. The only bronzer I’ve ever finished (many bronzed Uni nights out), this is another classic from Nars. Their bronzers are very good, and they’ve just launched some new sheer ones) and I think they’re always a good option. I had such high hopes for this but it was such a waste of time. Didn’t make much of a difference to my lashes and actually felt a bit scratchy. Very disappointed. Way too drying. Made my lips really sore for a few days after wearing it once. Like, I love matte lips but this is a whole different level. Too sparkly and I don’t really know why the colours are so bold/metallic. Not blendable, not the one.